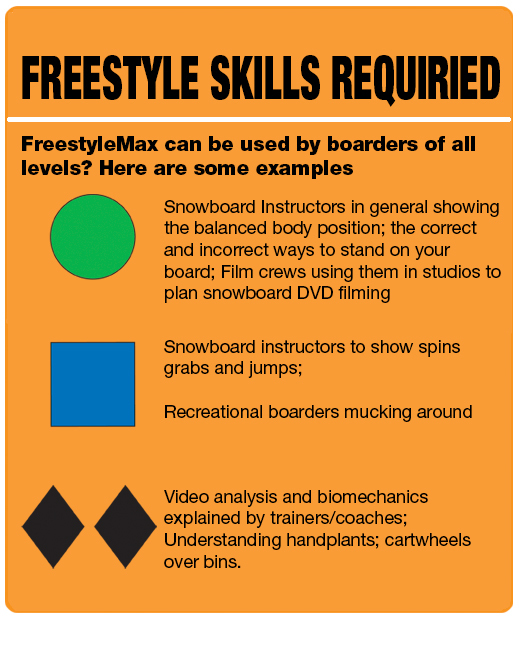 FreestyleMax has served the needs of snowboard professionals as an essential teaching tool for many years. Since then FreestyleMax has begun to serve much wider needs off the slopes. Proving there is no end to the number of uses for the best snowboard instructor tool in the world, EA Sports used FreestyleMax to help create their SSX game in 2012. The EA Sports creators were using FreestyleMax in the office to visualize and mimic moves. 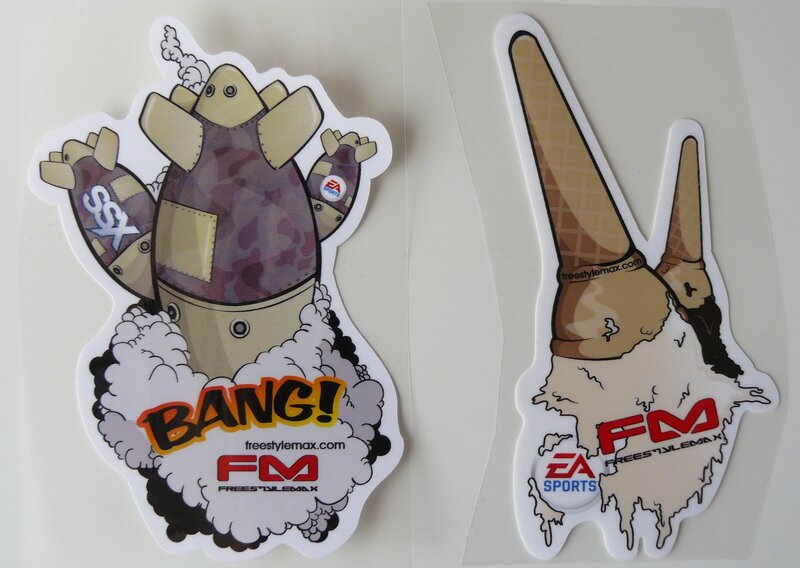 A limited run of these stickers are also available when you purchase FreestyleMax. This is the product recommended by Australia's peak snowboard instructor body APSI as well as being supported by CASI, BASI; Snowboard Austria; and Burton’s LTR department. FreestyleMax is more than a snowboard toy. He has helped hundreds of thousands of snowboarders become better snowboarders and he can help you too.